Beautiful! Hope I’ll be able to pick something from our garden this year – nothing out yet! Not a fan of ribbon, love the simplicity without! That’s a useful chap to have!! 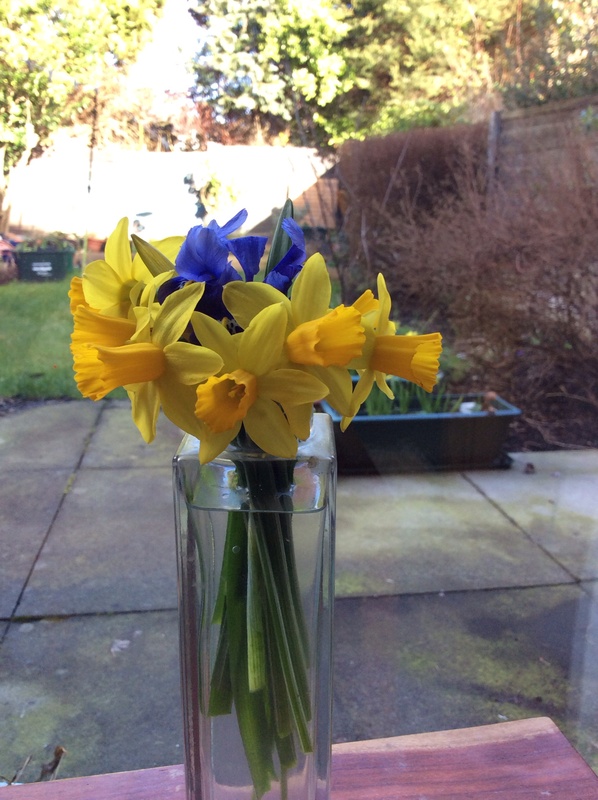 That’s a great vase – such a slender shape, and ideal for daffs. 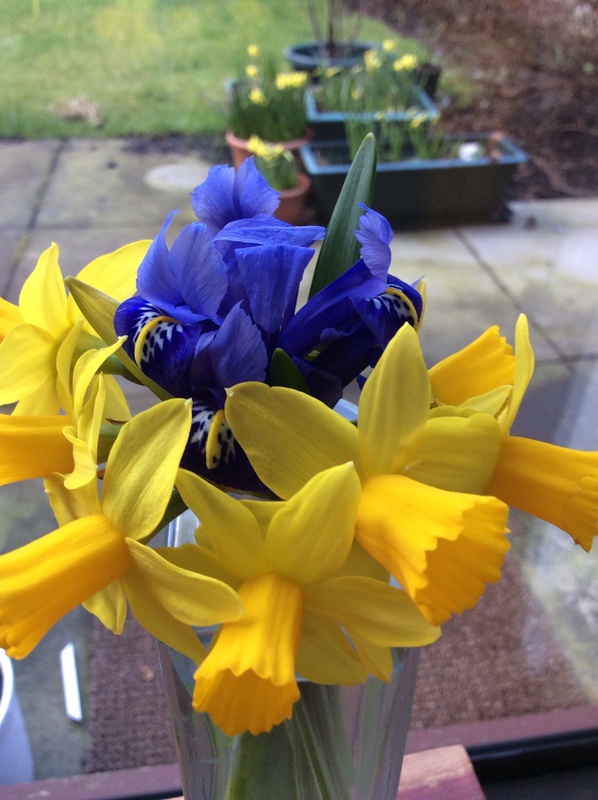 A ribbon…hmm….I like the idea of the blue, and yes, a big blousy blue ribbon would celebrate how special the first spring flowers are, or perhaps a strip of dark blue card around the bottom of the vase …. or blue props….the world’s your oyster!! It’s such fun to think out of the box 🙂 It’s lovely to have you on board, Bec – see you next week? I love seeing the Monday Vases while waiting for any flowers to make their appearance here. 🙂 Blue and yellow are one of my favorite combinations too — lovely!